There is no option on Chrome to auto erase your downloaded history. So if you want to delete your download history on chrome, have to delete manually. 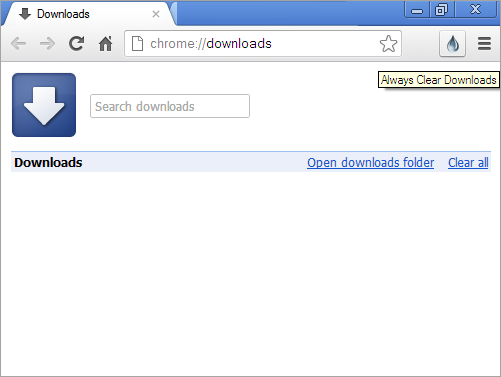 Here the simple extension called "Always Clear Downloads" to erase all your download history automatically for every 5 seconds on Chrome. Every five seconds, the downloads list is cleared out for you. Don't worry, the files you downloaded are still there, and in-progress downloads are not harmed. Chrome's internal list simply gets cleaned up for you every five seconds. Go to this Chrome web store Always Clear Downloads link then download the extension and install it to your computer. Now check your download history.